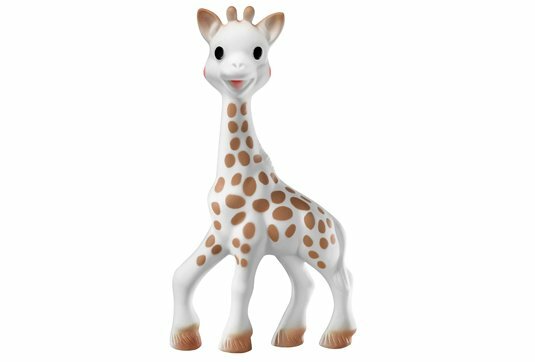 A set depicting Sophie la girafe, full of discoveries and activities to awaken baby's senses! 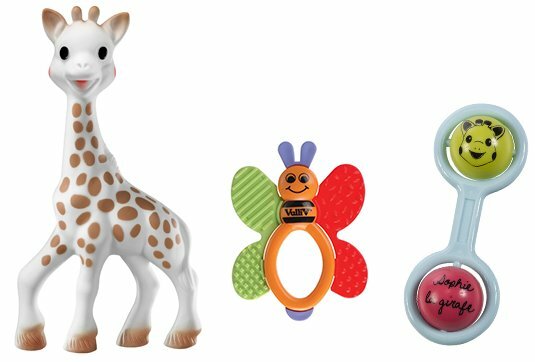 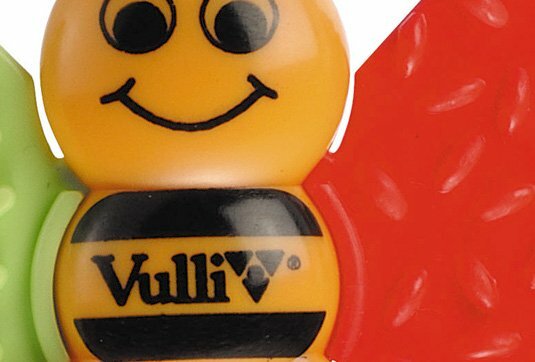 Three toys to handle, shake and chew for baby's greatest development! 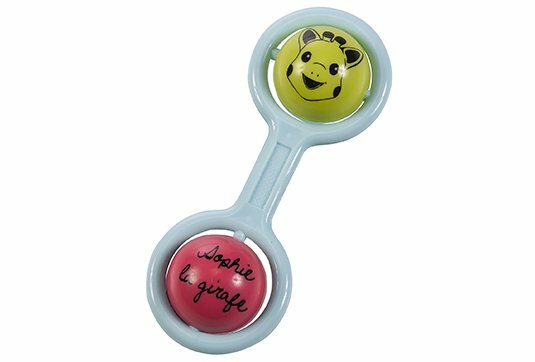 - a rattle with 2 balls to spin and jingle bells to ring.